This is what happens when one team with players/coaches with something to prove (TB) face a team with a head coach wanting to lose for draft pick status (SF). Dirk Koetter is trying to show anything for a job in the future…and it won’t be in Tampa; he knows this. Jameis Winston is playing for a contract somewhere (probably in TB) next year. Kyle Shanahan thinks he’s slick, bulletproof and not really trying to win. It was 13-6 TB in the 3rd quarter and the 49ers got down to the 1-yard line, and eventually 4th & goal. Down 7 and struggling on offense all game…Shanahan elected to kick a field goal to cut the lead to 4. I don’t fault him for tanking – just note the 49ers are trying to lose without looking like it. SF never scored again and lost 27-9. The 49ers are hoping to lose out, I assume they will…they are praying Oakland wins a game to kick the 49ers into the #1 overall draft pick. Dirk Koetter won’t be around, so he doesn’t care about draft picks in 2019. TB will probably not win a game the rest of the season either unless they cash in on meaningless Week 17. We project them 5-11 to the finish. -- Cameron Brate (3-26-1/4) with a TD, as I predicted! Wasn’t a difficult one to predict. He’s 50-50 every game for a TD with Winston and no OJH. Note…he had his hands on a 2nd TD right before the half but was an impossible catch. You may complain that his general stats were down/not as big as you would have liked. Just note…the Bucs seized control in the 3rd quarter and Dirk Koetter wants to win and not for Jameis to blow it with turnovers, so they sat on the 49ers as the game went on. One pass was completed in the final 14 minutes of play for the Bucs. Essentially, Brate had 75% of a game to get touches. He did all his work in the first half. Ahead, the Bucs will be play four playoff teams…they’ll be behind and throwing, a lot. -- Just watching this game back…George Kittle (6-48-0/12, 1-10-0) is so THIS OFFENSE. I don’t know why defenses don’t double him more. I guess they did here some, but as TB took control they laid off and Nick Mullens just dumped passes to the main target. There is Ertz-Kelce, then Kittle, then everyone else for fantasy TE tiers. The problem for Kittle getting into the top group this year…the QB play is so bad. The schedule ahead is not good for him either. -- …because Nick Mullens (18-32 for 221 yards, 1 TD/2 INT) is not an NFL QB. If he ever is…it is not now. When he gets pressure he’d dead. SEA-DEN-SEA-CHI-LAR the next 5 games. How do you think he’ll fare under that pressure? -- Dante Pettis (4-77-1/7) had his best day of his rookie season, working with Mullens here. Pettis is so smooth…a future #1 WR, just not with Nick Mullens. If Goodwin-Garcon are out…Pettis is the play, I guess, hoping for garbage time to rack his numbers to WR2 levels. If Goodwin is back, then Pettis is a random WR3-4 for the ROS. 5.2 rec. 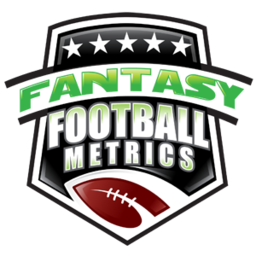 (6.5 targets), 65.0 yards, 0.80 TDs per game…11.3 FF PPG/16.5 PPR – WR1 work in PPR. I don’t trust he can keep up the TD pace but with a lot of garbage time ahead, who knows? The better defenses TB is going to face lends itself to Winston having to play some more small-ball with Humphries. In PPR, we keep chasing David Moore, Curtis Samuel, Taylor Gabriel types…Humphries is sitting right in front of our face. The week I got excited about him (Wk10) is the one week he didn’t have a TD and just 3 targets…before and after that game he’s been great. I’m moving his projections back up into a WR2/PPR area (which means he’s doomed this week). -- SF rookie RB Jeff Wilson (7-33-0, 1-8-0/1) had a really nice debut here. He’s very quick/has some pop…looks a bit like Breida. Had had a TD run here where he took a hand-off from about 10 yards out, went to the middle and it was clogged, kicked it outside and just outran defenders who initially had the angle. He dove in but was reversed to just short. He’s the Breida ‘handcuff’, if you will, and might see some split work…and waters down Breida some/rests Breida some (who needs it). -- If it matters to you…Jacquizz Rodgers (5-31-0, 4-31-0/5) had 10 touches in this game. 9-6-10 touches in his last 3 games. Koetter will use him over Ronald Jones because he trusts JR and doesn’t have to worry about making the GM happy playing sucky Jones. -- Fred Warner (7 tackles) is now ‘the man in the middle’ with awful Reuben Foster gone (awful human and bad linebacker). Elijah Lee (7 tackles, 1 TFL) got the additional snaps left with the vacancy. -- Jordan Whitehead (11 tackles) is a heat-seeking missile at safety for TB. So good here. Hey…rookie Vita Vea (4 tackles, 3 TFLs, 1.0 sacks) decided to play this week! Terrific game from the erratic one. The 49ers play five top defenses the rest of the season…it’s going to be ugly. I would trust any WR. I worry that Breida is contained/splits with Wilson too much. Mullens may not survive this. George Kittle would be in some trouble. TB has NO-@BAL-@DAL Weeks 14-16…all likely losses and Tampa getting good garbage time. Jameis is at-risk, but Koetter is gone after the season so he probably hopes Winston gets hurt and gets stuck with a $19M bill next season. Unless Winston really melts down, and it’s possible, Koetter won’t pull him.